I belive everyone has equal of light and darkness within them, empaths are those who emphasize on the light within in them and also believe in spreading it. People take them as someone meant to dispel the darkness but what they don’t realize is anything that emits light burns within, be it the sun, a filament bulb or a candle. Emapths are no exception. They feel things; understand things which no one else can. Empaths have this unexplainable gift which comes with a high cost and many cons. The energy they are surrounded with talks to their soul, words is mere formality. By the time you finish formal introduction, his soul will have taken yours for a walk. This might sound baffling but an empath doesn’t need to spend days, months or years with you to know what you’re made of. Just a touch of your soul i.e. few minutes and he will have sensed the energy in you and in another minutes your souls would be playing together. Looks like a happy world, doesn’t it? But my dear, the world is fucked up place; there are also toxic people, the abusive scavengers who just want their selfish motives fulfilled. Any sane person in their right mind would avoid such people; at least after knowing them but our hero here, the empaths won’t do so. ‘No’ is way too rude for an empath to speak and is rarely constituted in their vocabulary. As a result the empath allows itself to be manipulated, used and abused but still believes they are doing it for a greater good and their utmost purpose i.e. illuminating. Mind you, here the empaths don’t just drive the darkness away but absorb it and confide it within them. An empath suffers in silence, no matter how much he is suffocating from the hands of darkness around his throat, still smiles and is always ready to extend his hands for help. It takes every bit of his strength to not give in to the darkness. He has his demons to fight, his flaws to correct and depression to deal with but my dear, you first. They always put others before them. It doesn’t require a personal tragedy for them to suffer. While a death of a child shown in news may make everyone sad for awhile but for empaths, it strikes hard, the impact is dense and deep. Even if they wanted to they couldn’t feel less intensely. There is a tsunami taking its toll inside them but even for a second they won’t lose their composer. There are rarely any occasions where they break down and lose control. If you think that’s messed up, there is still more to come. As empaths are sensitive to energy and vibration around them, company is not their cup of tea, or coffee, whatever you prefer. When they are around too many people the various type of energy confuses them and triggers a chaos within them. They seek solitude to let the tides settle and get their composer back. Though a lonely soul, an empath desires for a companion or at least be in a company with people who love them and accept them for who they actually are. An empath knows no boundary of love, it often makes people suspicious of how could someone possibly shower so much love in such short time of knowing each other. People cannot take love in high dose, it’s a tragic fact that empaths are often dumped saying ‘you’re too good for me.’ Well that makes no sense to me but if I have to deduce it then may be it’s a fear of not being able to reciprocate. Maybe. IDK. They cannot light other lives while keeping theirs dark forever. The refusal to address their own pain doesn’t serve them good in the long run. 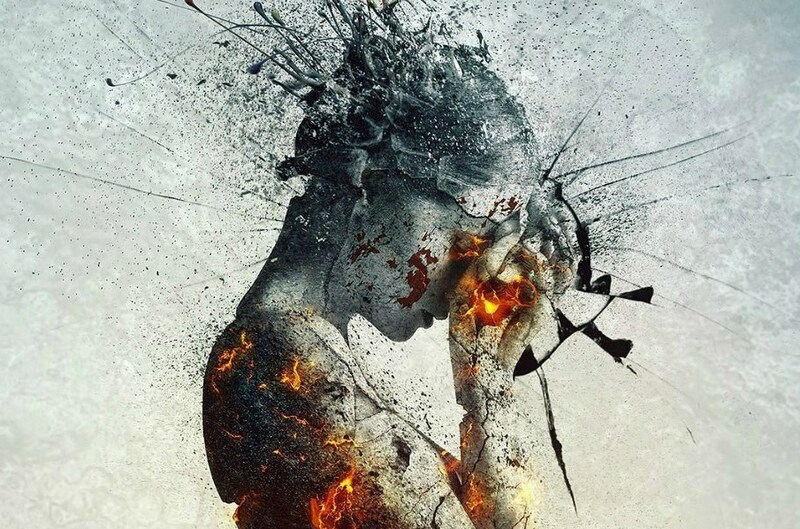 The struggle for empaths is harder as they don’t only deal with their pain but also those which absorbed from others. It’s not like they have no idea of the burdens they carry or the sufferings they are going through but they seek the remedy of their sufferings and pain that lives within them in illuminating someone else’s life. It’s for the empaths to feel any emotion more penetratingly than others. No wonder they have to deal with most heartaches and pain but they just don’t give in to the dark side. Such pain could be avoided by learning to cope with all the energies around, they need to distinguish between the emotions that belongs them and that ones that emanate from outside. The world needs more empaths but empaths don’t really need to pay this cost.